Alumni can be seen sporting their Colgate gear here, there, and everywhere around the globe. 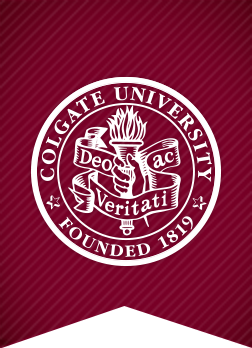 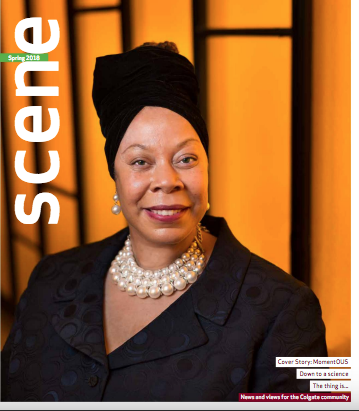 Send your sightings to scene@colgate.edu. 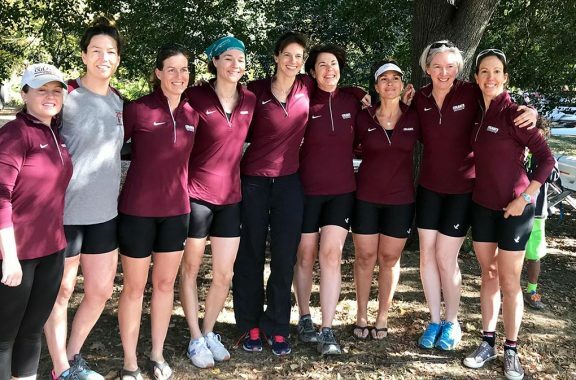 2017 photo: (L to R) Class of ’97 alumnae Lisa Peterson, Kathryn Bertine, Heather Dobbins, Danielle Schade, and Jenna Doucette Auber raced in the alumni division at the Head of the Charles Regatta. 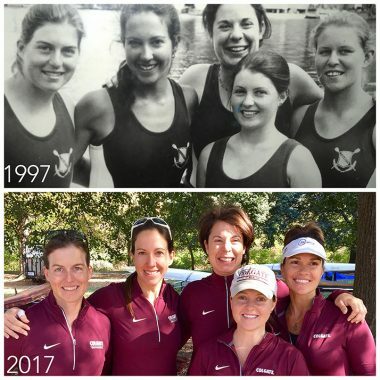 They had nearly the exact lineup as their 1997 Colgate women’s varsity boat (top photo), but for this regatta, Auber filled in for Tara Shedlosky ’97 (who was on business abroad). 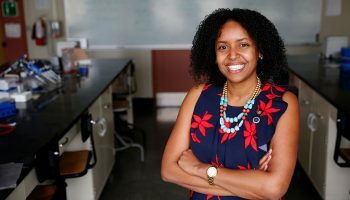 Today, the full, nine-person alumnae crew comprises four doctors, two nurses, a dietician, a marketing executive, and a professional athlete/activist/author. L to R: Schade, Amie Smith Matheson ’98, Peterson, Valley Dreisbach ’98, Beth Avery ’99, Dobbins, Doucette Auber, Megan Donohue ’99, and Bertine. 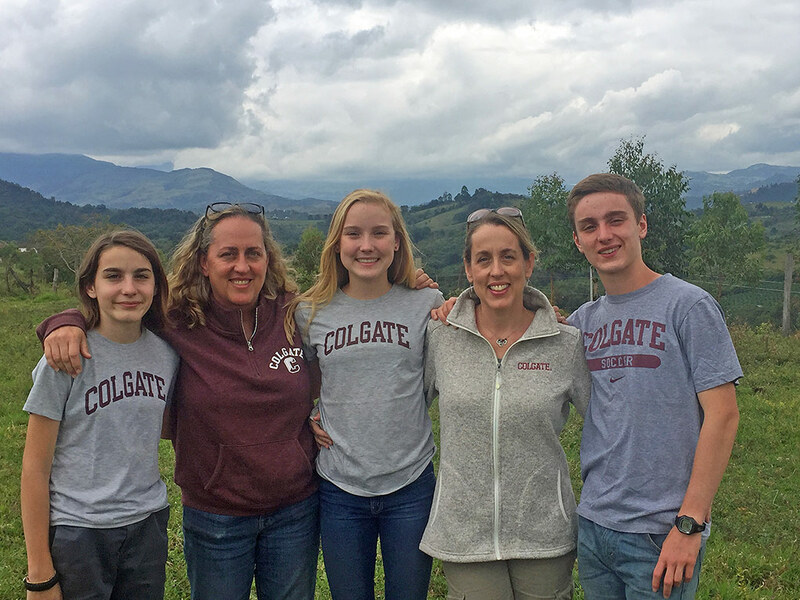 Class editor Marnie Concha ’87 shared this family photo from “El Robledal,” her uncle’s organic coffee farm in Popayan, Colombia. 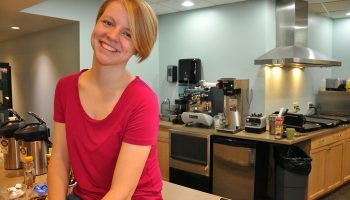 “It’s 6,500 feet above sea level and produces fabulous Colombian coffee,” Concha says. 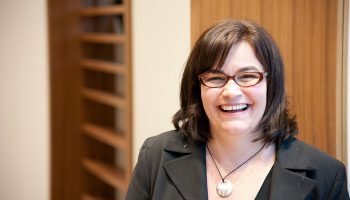 L to R: Georgia Alessio, Marnie Concha, Caroline Alessio, Kirsten Concha Alessio ’89, and Jack Alessio. 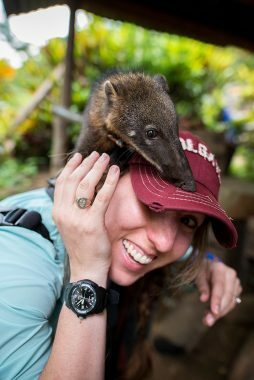 Danielle Cheifetz ’05 went to San Juan de Cheni, Peru, to shoot videos and photographs for the chocolate brand Dagoba. While there, she had the pleasure of meeting a furry friend (a coati).